For servers in Data Centres to work safely and reliably, the room air must meet precisely defined requirements. Besides temperature, humidity is a key factor. Too much humidity can lead to condensation and corrosion; too little can result in static, loss of data and damage to hardware. CyberSonic keeps the specified room air conditions constant. 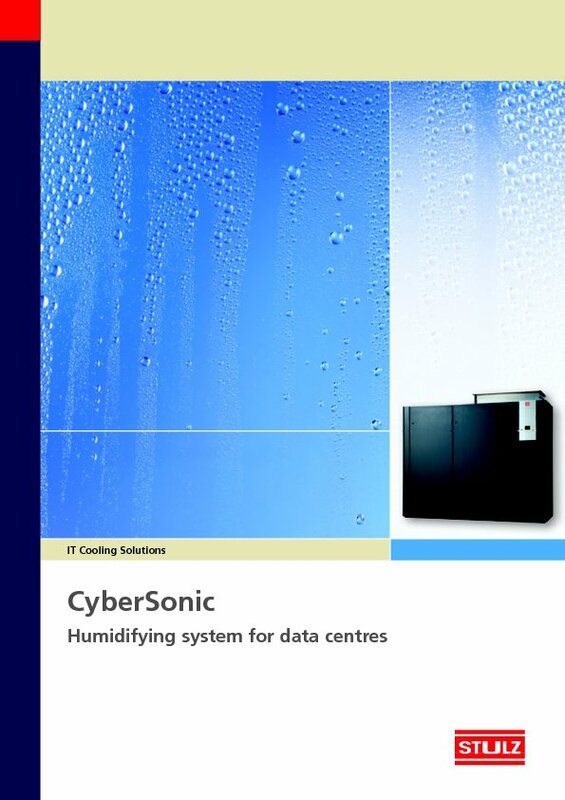 "CyberSonic was developed for humidifying large volumes of air adiabatically, which is exactly what's needed during the winter months when the outside air is dry but the Data Centre has to be cooled using direct Free Cooling." The water droplets are nebulized so finely in the ultrasonic humidifier that they automatically pass from the liquid to the gas phase (they evaporate). The heat required for evaporation is drawn from the room air, so aiding cooling.